Mix berries isolated on a white. Ripe apricots, red currants, cherries and strawberries. Berries and fruits with copy space for text. 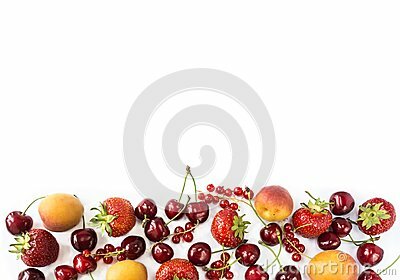 Various fresh summer berries on white background. Background berries. Top view.